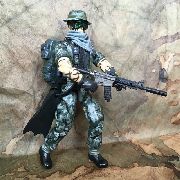 Weapon, scarf and glasses: Marauder Inc.
After seeing a documentary about the American army, I wanted to make a more realistic navy S.E.A.L. 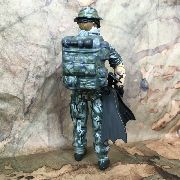 He had to be bad*ss and have not more (practical) gear than he can carry. 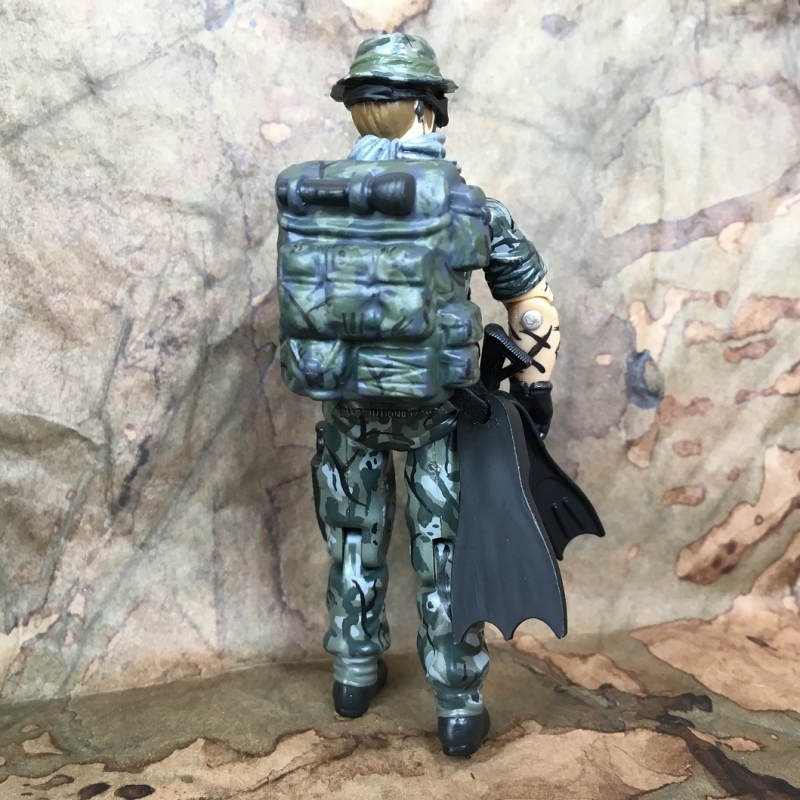 I had a hard time thinking of a back story though, so I didn't write it. 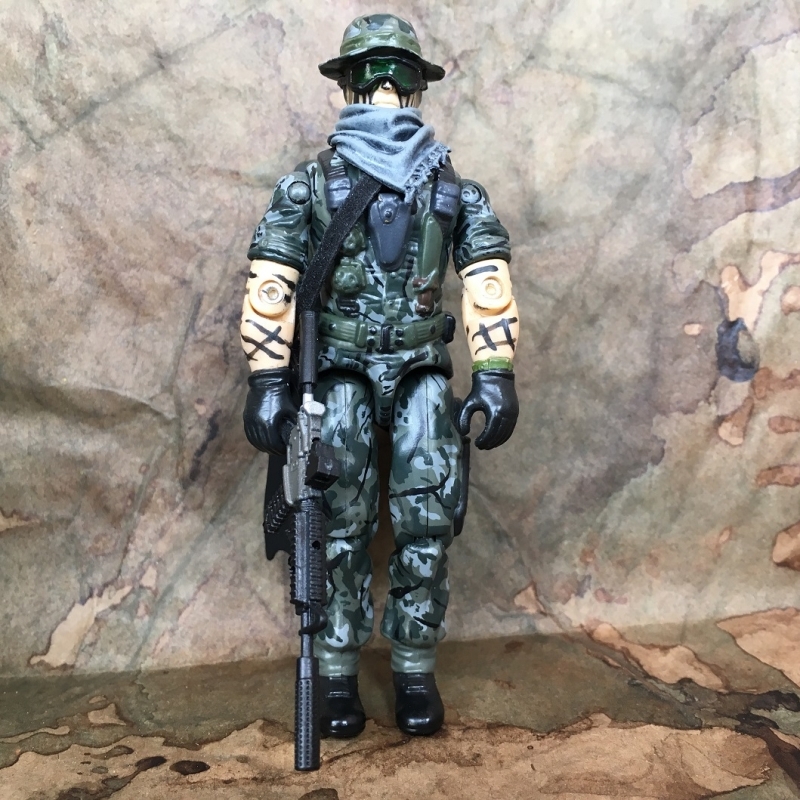 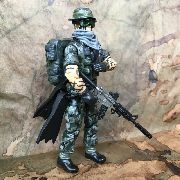 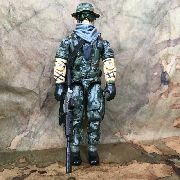 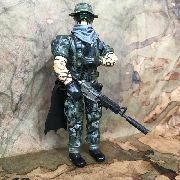 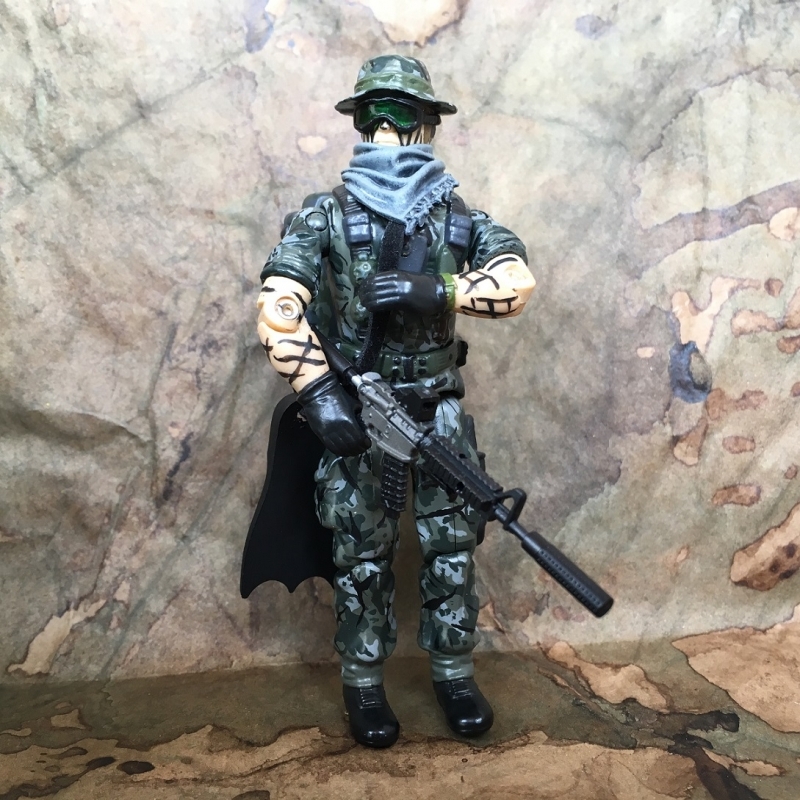 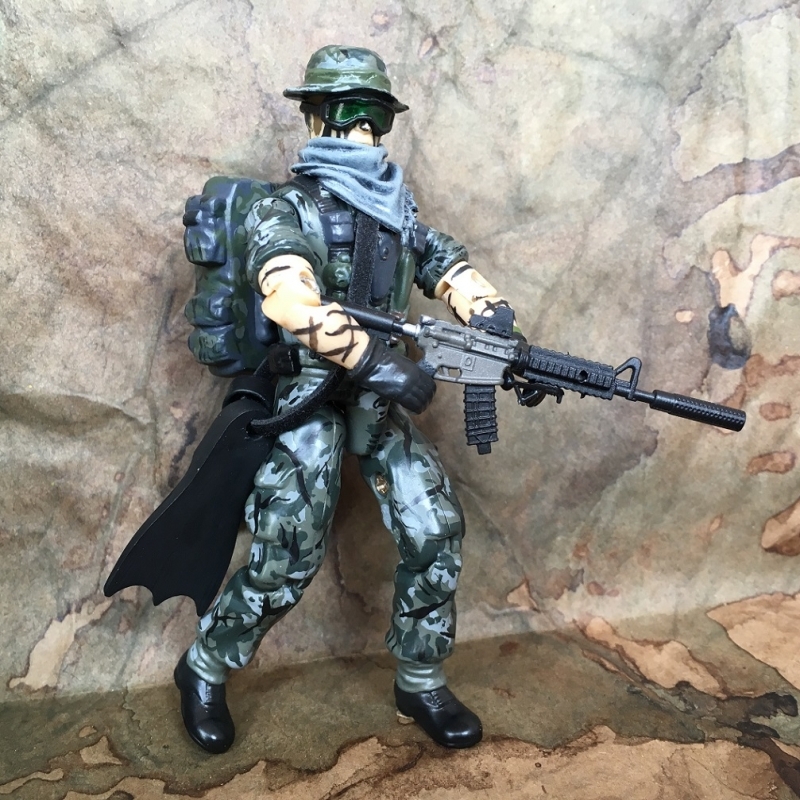 I experimented with a new camo pattern and I liked the combining of the o-ring style figure with the "modern style" accessories. 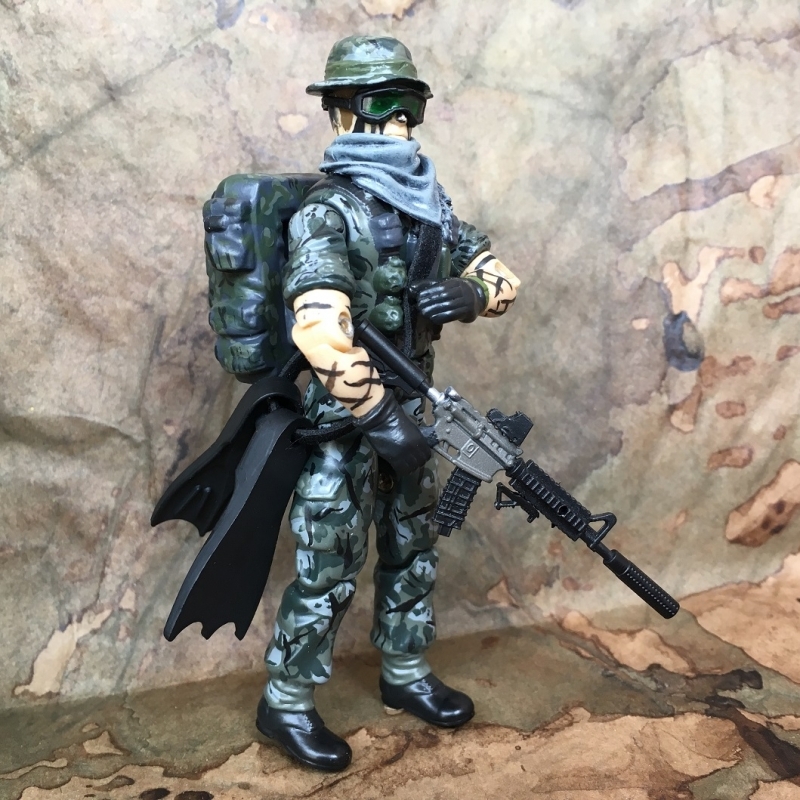 Something I'll do more often in the future for sure!